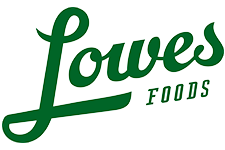 Here are the deals that start 10/24 at Lowes Foods. There are some additional Fuel Rewards available this week. Ocean Spray Fresh Cranberries, 12 oz, $2.69 ea. Green Bell Peppers, 97¢ ea. Lipton Bottled Iced Tea, 12 pk. Extra 10¢ Per Gallon WYB (8) Totino’s Pizza Rolls, 15 ct.
Yoplait Greek Yogurt with Granola, 2 ct.